PLEASE Citrix fix integration with Azure Stack! – #AzureStack, #CitrixCSP, #CitrixSynergy, #MSIgnite | The IT Melting Pot! 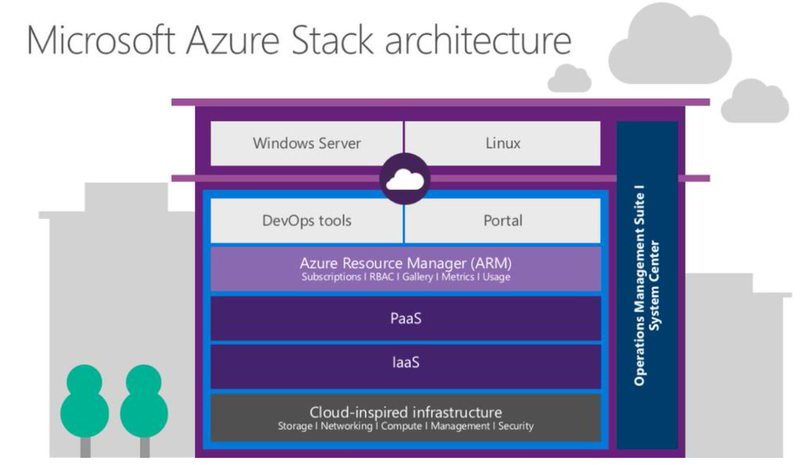 Ok, Microsoft have made some really cool announcements of Azure Stack, yes STACK not Pack. Azure Stack is NOT version 2.0 of Windows Azure Pack.. this is really important to note! Azure Stack is basically the Azure technology used by the public Azure cloud but you can take that on-premise to your datacenter to deliver your own Azure cloud. No need of VMM or the traditional Fabric Management infrastructure! Microsoft Azure Stack brings proven innovation from Microsoft’s hyper-scale public cloud into your datacenter, providing agility and productivity for application owners, flexibility and control for IT, and assurance that corporate assets are protected. So then we come to the topic of this post, if we know get this really 1st class IaaS and PaaS capabilties on-premise using Azure Stack HOW can we then leverage that to provision Desktop-as-a-Service offerings with Citrix XenApp/XenDesktop on top of it? My dream would of course be that Citrix provides Workpace Services and the main XenApp/XenDesktop infrastructure as a SaaS service, and that you internally just build your Azure Stack Resource Groups with all components needed for the DaaS tenant (network, storage, AD, VM’s to slap the VDA on etc.) using Visual Studio to leverage intellisense and builtin objects/IDE capabilities to add resources to your json deployment template file. So when you provision this deployment into your Azure Stack IaaS solution you spin up everything for the tenant and then slap the VDA on there that just connects to the XenApp/XenDesktop infrastructure in the Citrix cloud to automate this and reduce the need of managing that part! Please Citrix deliver this instead of App Orchestration!